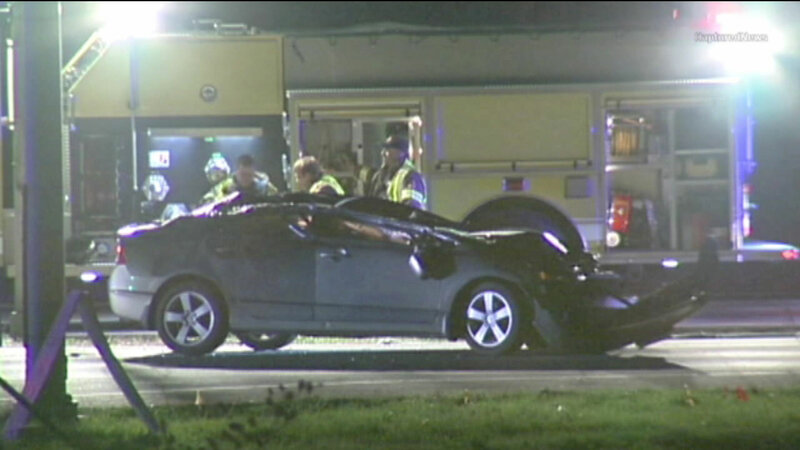 ELWOOD, Ill. (WLS) -- Illinois State Police are investigating the cause of a deadly crash in southwest suburban Elwood. Officials say the victim, Robert Corcoran, was driving south on Route 53 when he hit a semi just before 11 p.m. Wednesday. His vehicle ended up under the truck's trailer and police say Corcoran died at the scene. The semi driver was not hurt.